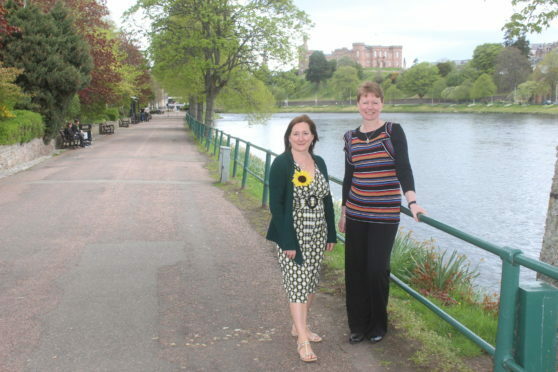 Highland Hospice has launched a befriending service for people in Inverness. The initiative, under the Helping Hands banner, recruits and trains volunteers with the aim of providing companionship and support to those living at home, reducing social isolation and offering much-needed respite for carers. Volunteers will visit their new friends providing help and support tailored to their needs for between two and four hours a week. Rhiannon Pitt, area manager for NHS Highland, said: “We are increasingly visiting people who are in need of companionship and non-clinical support to do everyday tasks. The hospice’s Helping Hands initiative has been a great success in Ross-shire, and we are delighted to be introducing volunteer befrienders in Inverness. An onus on independent living is offered as part of the initiative allowing people to remain within their own homes and communities. Susan Smith, Highland Hospice Helping Hands service manager, said: “Volunteer befrienders are crucial to making this service happen, and I would urge anyone who can spare a few hours a week to get in touch with us if you are interested in supporting people in your community.